Casual wine drinkers, aficionados, and beginners alike: Each month we expose you to new things, educating and diversifying your palate with a lineup of our monthly wine picks. We're sharing some of the best we've tried in the last month so that you can seek them out and bring them to dinner this month. It feels a bit like springtime where we live, so we're gravitating to wines that make us feel like this time of year: Four specially selected whites and a red to help us walk the bridge from winter to summer. Enjoy! Why we chose it: Hungary makes some really nice wine, so we were delighted to find this bottle at a tasting in our favorite local wine shop. Whether this is a Furmint or Muscat Otonel (grapes) has been an ongoing debate, but assuming the latter, we'll tell you that this is a really interesting grape. It gives us rather competing senses of touch sweet and dry floral in the nose, but giving way to something strikingly dry on the palate. Honey suckle dominates a glass that has good food-paring acidity reminiscent of a Sauvignon Blanc, but without the green apple and grassy notes you'd expect. Drink this with lightly prepared chicken dishes in springtime! What to look for: Tokaj is a large enough, albeit not as well known, wine region that you should not struggle too mightily to locate some wine from here... even if you have to special order it through your wine shop. There's a lot of value in exploring wine from less trafficked wine regions, and Tokaj is perhaps near the front of the line of places you probably didn't know have been making great wine for centuries. Why we chose it: At only 175 cases produced, there is very little of this high-quality quintessential California Chardonnay available in the market. We like it, though, as a fine example of what this style of Chardonnay should be. Golden straw in color, there is honey, hay, and floral blossom in the nose. Buttery wood and cream is balanced by an apricot fruit thrust in the palate, and a bit of acidity that adds some sharpness. It finishes with notes of vanilla and subtly mild tea in the back. What to look for: We don't spend a lot of (or enough) time with Chardonnay on Wine:Thirty Flight, but we chose this really nice bottle to honor the memory of a wonderful friend on what would have been her birthday. Jen loved great California Chardonnay. 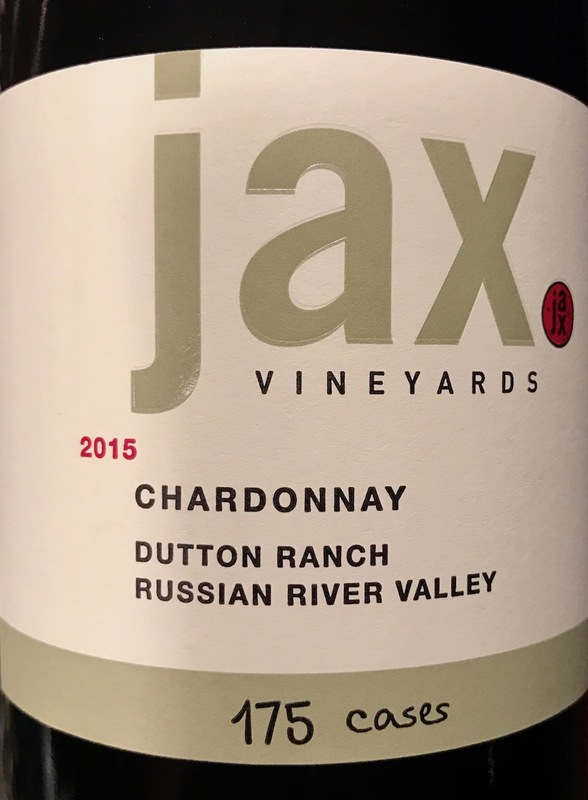 Unfortunately, there's a lot of mass produced muck in the world of California Chardonnay, so this is one combination of region and varietal for which we'd tell you price matters. This bottle runs at around $45, and we think it's worth it. When you want Chardonnay from California, don't stumble around in the bargain basement. Why we chose it: We've followed Eisold Smith's Edel white blend for several years, and were happy for the chance to taste the 2015 edition. A bit unique in that the Pinot Gris and Gewürztraminer grapes are harvested, crushed, and fermented together (rather than separately with blending to come afterwards). The nose is of candy and lemon grass; this one seems a touch sweeter than recent years, but really pleasant. Sweet fruit with a lot of floral character, we commented several times on the experience of "drinking flowers". Really delicious! Why we chose it: Trying this wine in early 2016, we wrote that "We finished an amazing meal with the Gewurztraminer matched to poached pear, spiced pecans, and la tur cheese. The Gewurtz was pretty classic, showing a nose of crystallized sugar and crunchy honeycomb. Orange blossom came out in the palate, with some apple juice in the back of the mouth and citrus pecan pancake in the finish." We echo all of this opening our second bottle in March 2017, but we'd add that a year on there was a new grapefruit element that reminded us of Haribo candy. What to look for: Brandborg is small, but not so tiny that you can't find these bottles. Otherwise, quality Gewurtz ($25ish) from this part of the world is (1) usually going to treat you well, and (2) treat you even better when drunk with spicy foods (looking at you, curry). Why we chose it: The Champ de Rêves Pinot Noir from northern California's Anderson Valley threw up a hot jammy nose filled with nutmeg and cocoa. The cranberry on the palate is robust, yet smooth. This heartier Pinot reminds us of what we find as we go further north from the hotter more alcoholic feeling alternatives in the warmer, southern climates. Its northern qualities make it great for pairing with food. What to look for: Pinot Noir from America's Pacific Northwest or, as is the case with this bottle, from Northern California. They will be different if you taste them side by side, but the desired result -- hearty Pinot Noir that works well with food -- will often be realized.